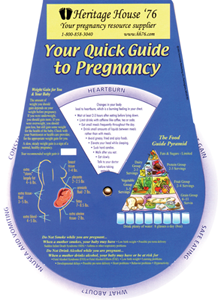 Description: Full-color Pregnancy Guide and Birth Calculation Wheel. 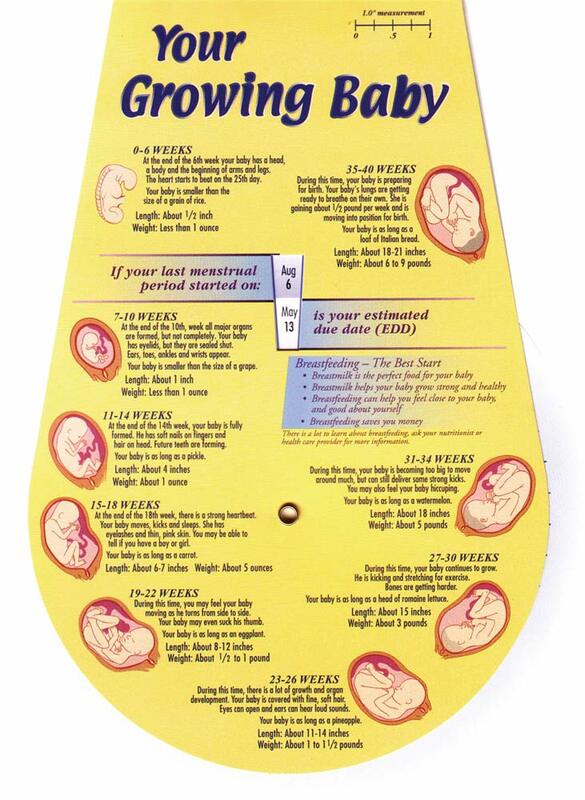 One side is full of factual up-to-date information on changes in the mother's body and fetal development. The other side is a birth date calculator. These are wonderful tools to have on hand at pregnancy resource centers and clinics. This tool is simple, easy to read, and very thorough. It is portable and includes most of the basic information new mothers want to know. 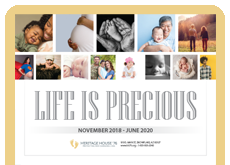 I recommend it to anyone in pro-life ministry!